The Diva of Days of Our Lives: NBC Press Release on #Days Ratings! UNIVERSAL CITY, Calif. – Feb. 13, 2014 – “Days of our Lives” has generated its biggest week in women 18-49 viewers since early 2011, according to “live plus same day” viewing figures for the week of Dec. 2-6 from Nielsen Media Research. For the week of Feb. 3-7, "Days of our Lives" (1.1 rating, 7 share among women 18-49, 0.6 rating among women 18-34) tied for #4 among network daytime series in the women 18-49 demographic and tied for #5 in the women 18-34 race. “Days” averaged 712,000 women 18-49 during the week, its biggest audience in that key demo since the week of Feb. 21-25, 2011 (739,000). The 1.1 rating also matches “Days’” highest in the key demo in three years, since a 1.3 for the week of Jan. 31-Feb. 4, 2011. The 0.6 in the women 18-34 category equals “Days’” highest in that measure in nine weeks (since a 0.7 for the week of Dec. 2-6, 2013). Last week’s 2.887 million viewers overall is a five-week high for “Days” (best since 3.021 million for the week of Dec. 30, 2013-Jan. 3, 2014). For the week versus the same week last year, "Days of our Lives" was up 5% in the women 18-34 category (200,000 vs. 191,000), up 27% in the women 18-49 demographic (712,000 vs. 560,000), up 26% in the women 25-54 race (824,000 vs. 655,000) and up 12% in total viewers (2.9 million vs. 2.6 million). Season to date, "Days of our Lives" is tied for #5 in the women 18-49 category and tied for #5 in the women 18-34 demo. 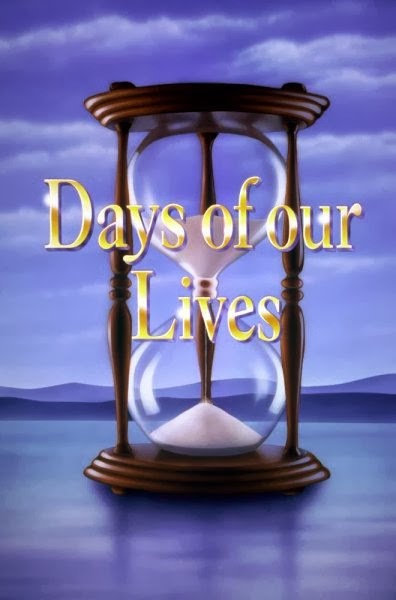 Season to date, "Days of our Lives" is up 4% in the women 18-34 category (212,000 vs. 204,000), up 12% in the women 18-49 race (715,000 vs. 637,000), up 13% in the women 25-54 demo (873,000 vs. 776,000) and up 10% in total viewers (2.9 million vs. 2.7 million).